Howard Rattner, M.D. is a 1978 graduate the University of Pennsylvania where he received the prestigious Lukens award given to the outstanding Chemistry major in the senior class. He then attended Downstate Medical School where he was a recipient of the NY State Regents scholarship for medical students graduating in 1982. 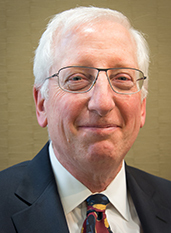 Dr. Rattner received his Internal Medicine training at the North Shore University Hospital Manhasset, Memorial Sloan Kettering Cancer Center, completing that combined program in 1985. He completed his Gastroenterology fellowship training at North Shore University Hospital in 1987. Dr. Rattner is a founding member of North Shore Gastroenterology Associates. He is Board certified in both Internal Medicine and Gastroenterology. He is an attending in Gastroenterology at North Shore University Hospital Manhasset, St. Francis Hospital, and North Shore University Hospital at Glen Cove. He is a Fellow of the American College of Physicians and a Fellow of the American College of Gastroenterology. Dr. Rattner’s interests include colon cancer screening, colonoscopy, helicobacter pylori, inflammatory bowel disease including Crohn’s disease and ulcerative colitis, reflux disease and Barrett’s esophagus, and chronic liver disease including hepatitis C.